The sparking impulses are agreeably all around us. For some easy, for others impossible to recognize. Anyways, people have always needed guidance and special care when it comes to their psychophysical condition or social inclusion, and there have always been services, where one could find all the necessary help. But never in such great shape as the two brands that caught my eye some time ago. Just in case You need ideas to live by, join The School of Life, a new enterprise offering good ideas for everyday living. I appreciate the brand for its interesting and somehow unusual array of products for everyday people: from how to be cool, how to face death, how to change your relationship to money and all the way to how to make a difference. They certainly made a difference with their very own way of adressing their audience and approaching psychotherapy, bibliotheraphy or special social events called Meals. Although The School of Life is not a NGO or social venture but a business oriented brand, it greatly contributes to the general society. Throughout most of the human history, there has always been a fear of losing or selling your soul. But things change. These days most of the people are paying by the hour to buy the impulse, the experience, to cycle away from the ordinary and catch up with their souls at least for a moment. 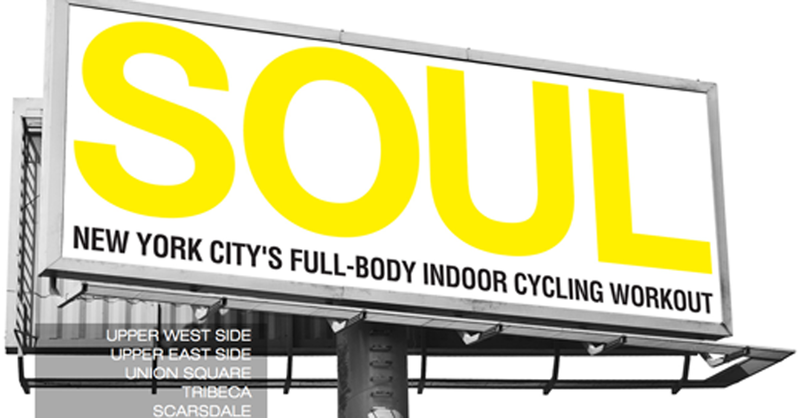 Soulcycle is The brand for workout, a new NYC madness that knows how to make business. A very simple product offers a workout party and gets a lot of »soul buzz«. There is nothing wrong with buying a bit of soul. Better to buy some than live a life without it. There is a very simple answer to the question why these two fairly small brands are sucessfull. They are alive – focusing on the social aspect, connecting people locally while going global, communicating with their audience in an original and down to earth way. Something to remember.